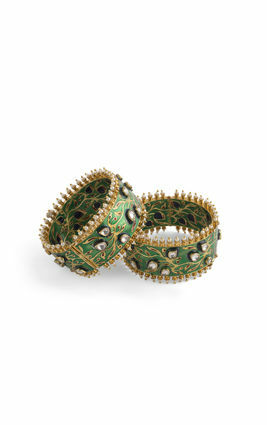 Floral climbers entwine around your wrists on the backdrop of a dense green forest; look inside and a surprise awaits - beautiful red and gold enamel work. 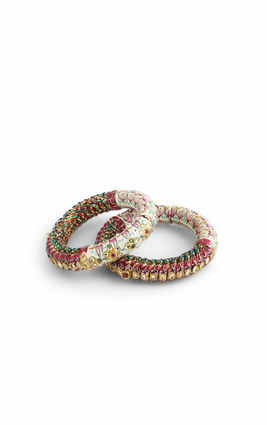 These bangles epitomise kundan jewellery at its very best. Stand out and blend in at the same time. 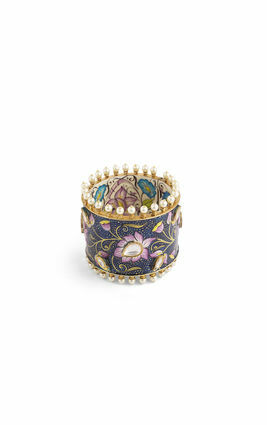 Pairs best with warm-toned silks. 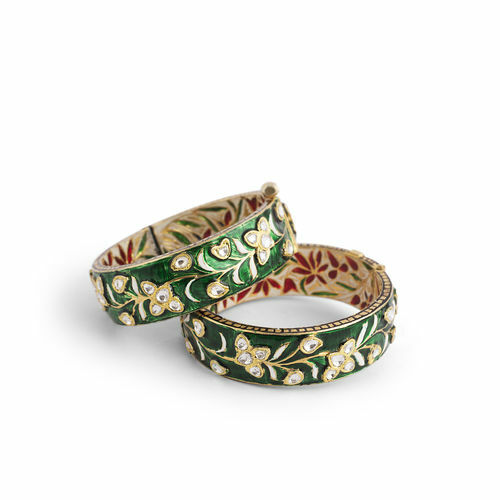 Floral climbers entwine around your wrists on the backdrop of a dense green forest; look inside and a surprise awaits - beautiful red and gold enamel work. 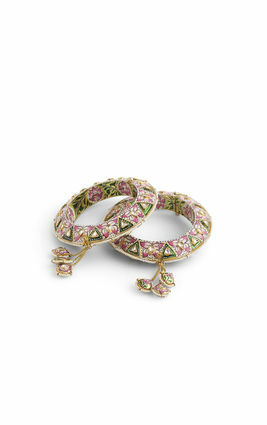 These bangles epitomise kundan jewellery at its very best. 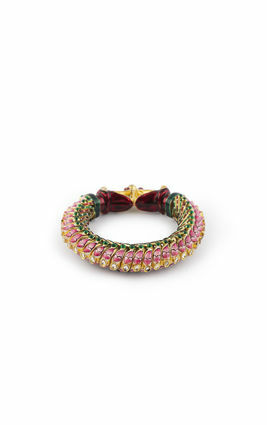 Stand out and blend in at the same time. 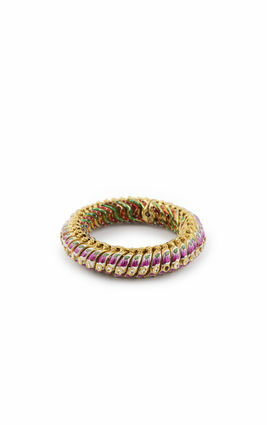 Pairs best with warm-toned silks.